We must acknowledge that this mug style has been around since...forever. A classic Peter Deneen design, with matching ridges just below the rim and above the foot, our Tankard mug has a perfectly balanced profile. 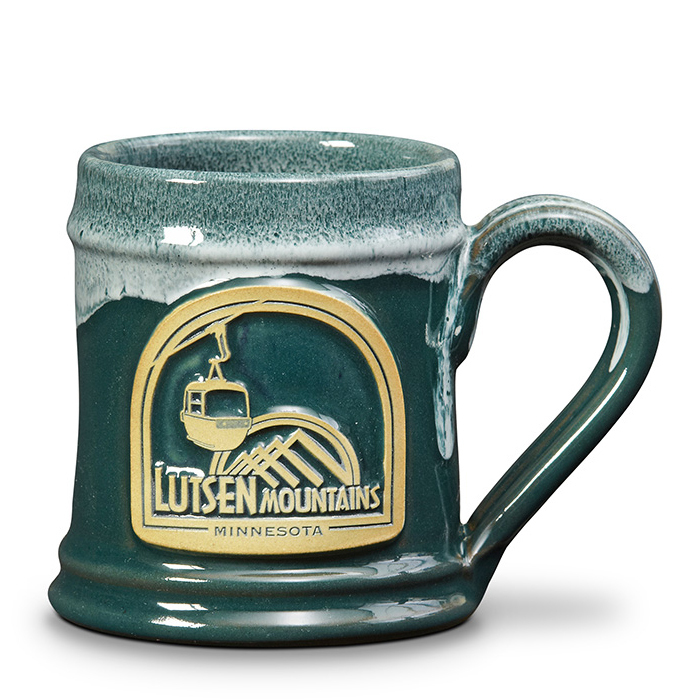 Many staff members at Deneen Pottery have a history of spending winter weekends at Lutsen Mountain, near Lake Superior. So, it's truly an honor to partner with them in creating a mug that features their iconic gondola. Glaze: Teal w/White Industry: Downhill Ski Area (We work with many different industries) Capacity: 10 oz.